Want an A-Frame? Look no further. 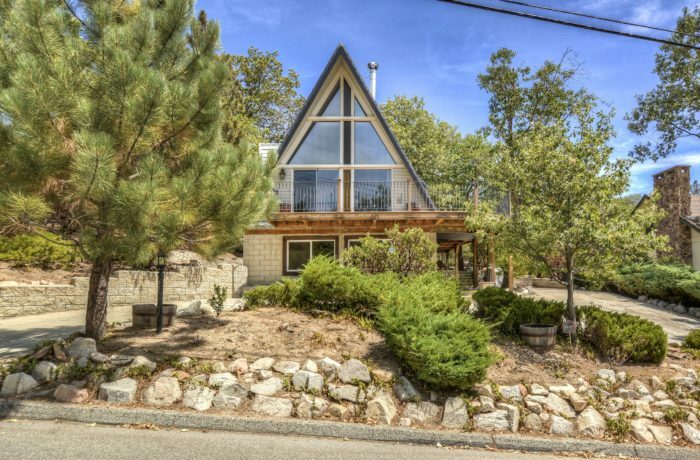 Spacious, light & bright mountain home that backs up to National Forest. Very gentle lot with lots of parking & a storage shed. Many updates have been done but still plenty of projects to make it your own. Main level features living & dining with wall of glass. Kitchen is open to living area with newer stainless appliances. There are also 2 bedrooms and a full bath. Top level is a loft area plus a newly redone 3/4 bath and another bedroom. The lowest level is a large family/hobby room with a wet bar, large full bath with spa tub & a laundry room. Lots of room for everyone! The rear yard is pretty level and backs up to miles of National Forest. If you have off road vehicles, this is the house for you! There are even some peeks of the lake from the spacious deck, even better in winter months. Excellent neighborhood and not to far from the lake. An A-Mazing opportunity awaits!! !